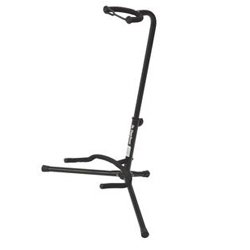 This Cooperstand Duro Pro guitar stand gives you all the benefits of a collapsible guitar stand that fits into most guitar cases and Glows-In-The-Dark! 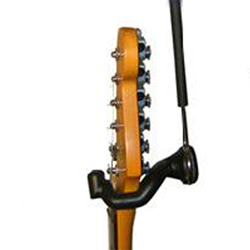 The Adjustable Guitar Neck Holder - 100% wood - this will be one of your most cherished guitar accessories - does hollow bodies AND solid bodies - fits in a guitar case - rubber padded neck cradle and legs - makes a great centerpiece for your book case. 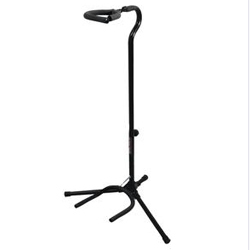 All metal stand with rubber coated neck cradle. 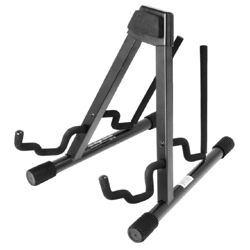 Cradle swings back and legs collapse for easy carriage. K&M calls it their best guitar holder. 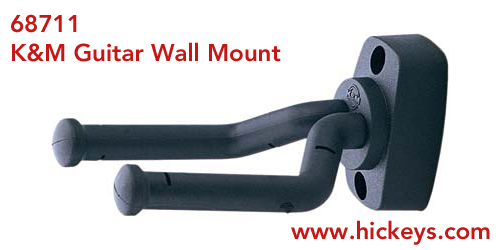 This unit is mounted to the wall and features flexible support arms for various guitar models. 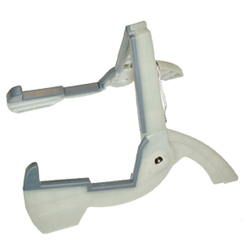 It is covered with non-marring rubber to protect the instrument. 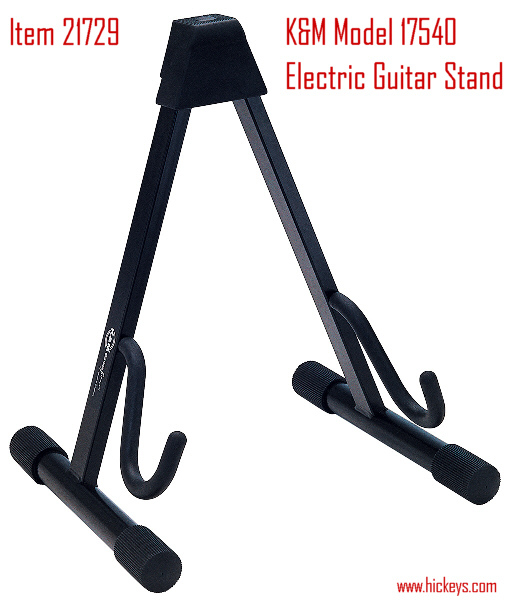 For electric guitars. 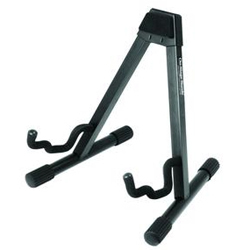 Stable, sturdy, simple and easy to adjust and fold. Width adjusts from 220 to 350mm. 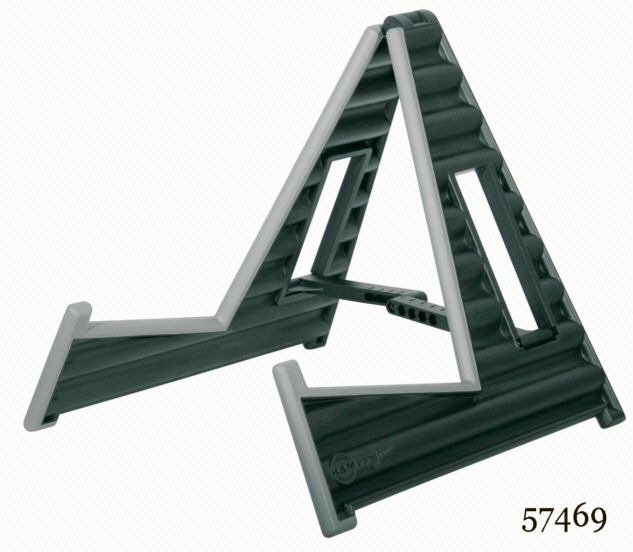 Support arms are covered with exclusive non-marring material to protect instrument finishes. For acoustic guitars. ALso works for french horns & cellos. 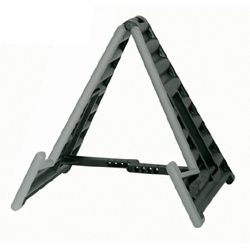 Stable, sturdy, simple and easy to adjust and fold. Width adjusts from 220 to 350mm. 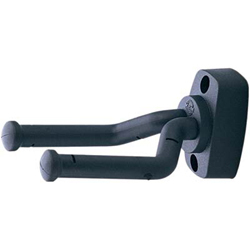 Support arms are covered with exclusive non-marring material to protect instrument finishes. 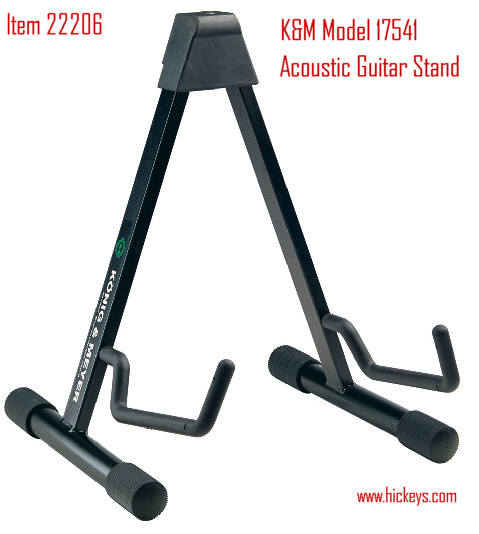 A very unique guitar stand designed especially for acoustic guitars. Also suitable for headless guitars, cellos and french horns. 5-way width adjustment. 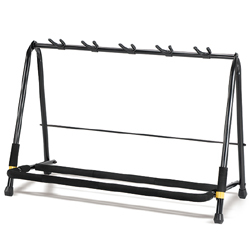 Compact, folding design makes it easy to transport and store. 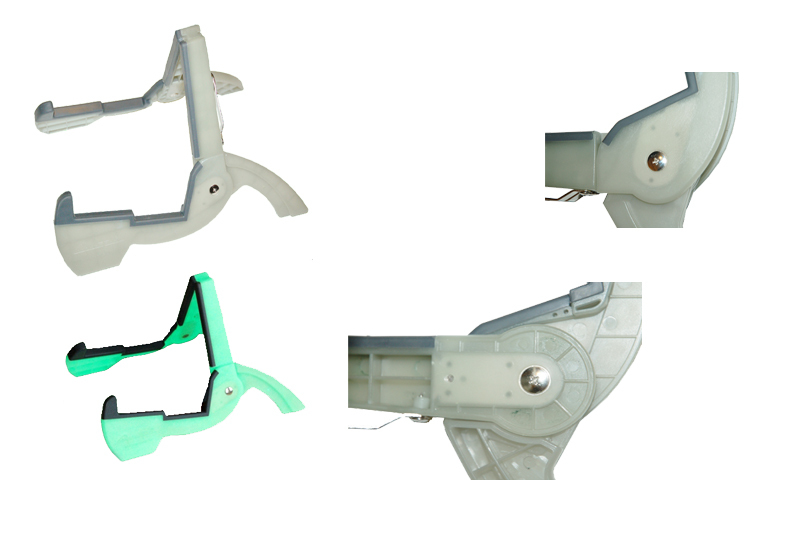 Exclusive non-marring material to protect guitar finishes is molded onto stand during the manufacturing process. 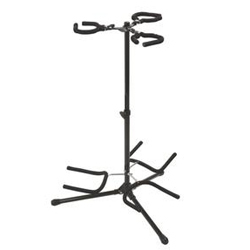 Also popular as a french horn stand. 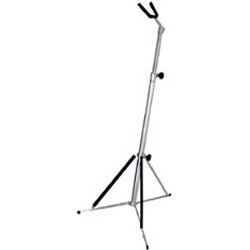 Lightweight plastic stand with padding for electric guitars and basses. 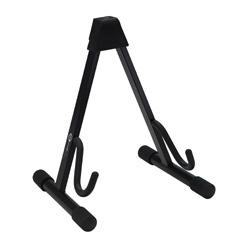 Also popular as a "french" horn stand. 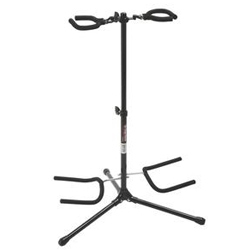 This folding stand will fit all guitars. 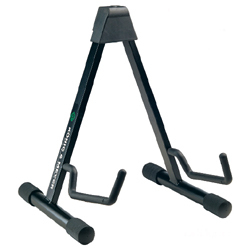 With a patented flexible hook/clamp system the design offers extra protection and convenietn height adjustment. 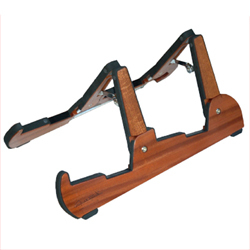 Non=marring cushion on the neck grip and bass also protect the instrument. Very Stable. A great lightweight travel stand, the Memphis is aluminium and weighs less than a pound. 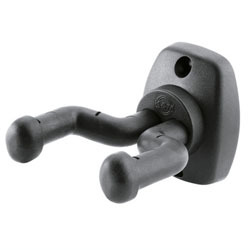 The GS7140 features a unique spring mechanism that locks your guitar in place. Operation couldn't be easier; simply press your guitar into the spring-loaded lower yoke and lock it into place under the upper yoke. 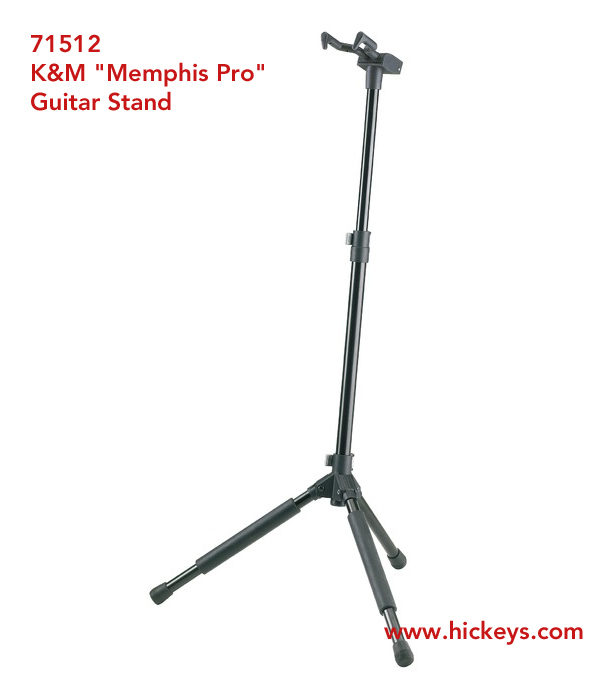 The stand and guitar can be moved around together with one hand. 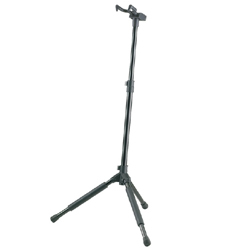 Accommodates most full size electric guitars and bass. 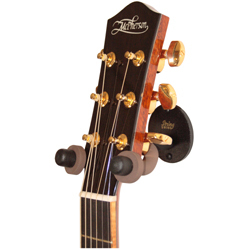 The GS7141 features a unique spring mechanism that locks your acoustic or hollow-body guitar in place. Operation couldn't be easier; simply press your guitar into the spring-loaded lower yoke and lock it into place under the upper yoke. 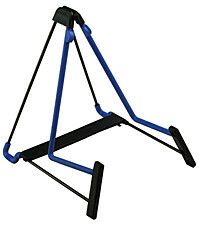 The stand and guitar can be moved around together with one hand. 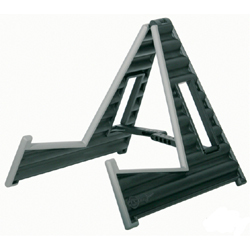 Die-cast leg housing, upper shaft w/ anti-rotation, Flip-Itr upper yoke, removable lower yoke. Black gloss finish and black Velveteen rubber. Holds two guitars back to back. 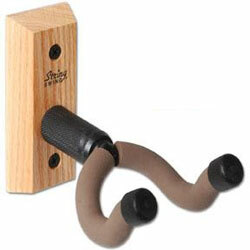 Holds any combination of three guitars, basses and banjos. 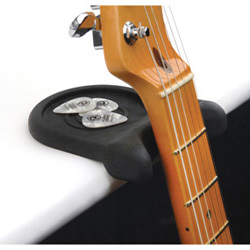 The Planet Waves Guitar Rest turns any flat surface into a guitar stand. 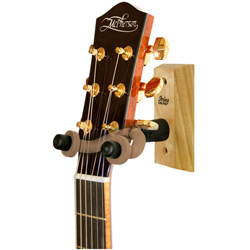 Simply lay the Guitar rest over the edge of any level surface and lean your instrument against the "neck pocket" of the guitar rest. 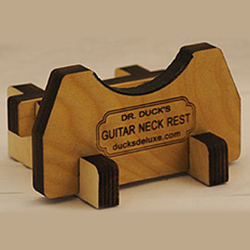 The surface friction of the guitar rest will resist movement on practically all surfaces. 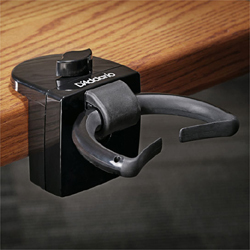 Perfect for instances where a stand is not available or convenient. 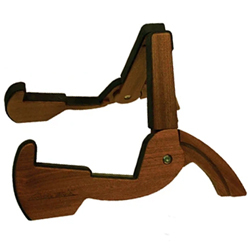 The Guitar Rest fits easily in any case or gig bag so you can take it anywhere.